Dexter created a dedicated project team that managed all aspects of the project. 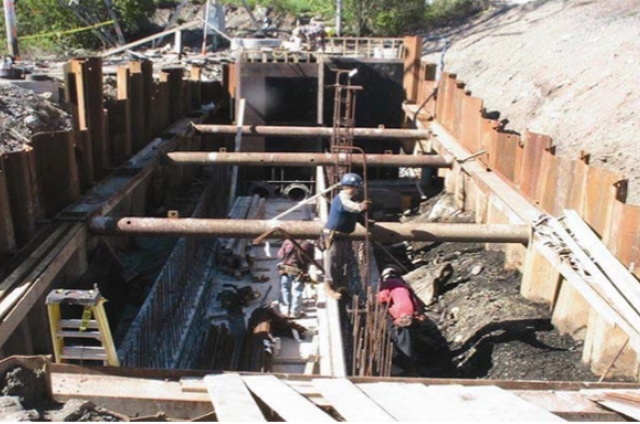 Dexter developed an environmental management plan, a health and safety plan, a QA/QC plan, a commissioning plan, and a receiving water quality plan specific to the project. Appointed managers were dedicated to managing these functional areas, including a safety manager, a risk manager, and a technical and commissioning manager. It should be noted that the safety performance in this project was the best in Dexter’s history. It is also noteworthy that Dexter proposed and the client and regulator agreed that Dexter design and build a hazardous material landfill cell to store the hazardous (heavy metals) material excavated during the project. From an innovation perspective, Dexter introduced several new technologies that contributed to the productivity and safety of the project. 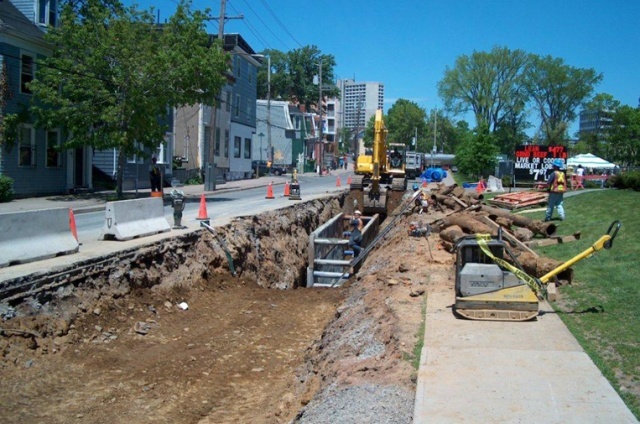 These included post and panel trench protection systems that provided enhanced worker safety in deep trenches and allowed for increased worker mobility in the trench that helped increase productivity. Also, Dexter obtained a trencher that allowed trenching to occur in structurally and environmentally sensitive areas where drilling and blasting or rock breaking would have been inappropriate.